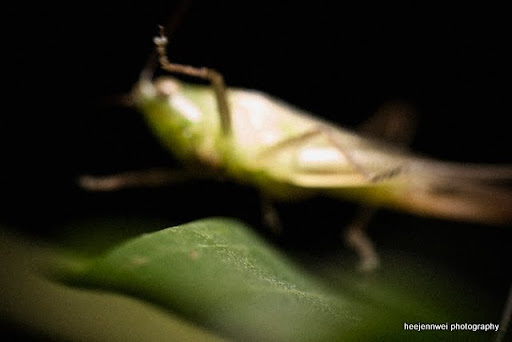 macro photography for Nature Lovers! 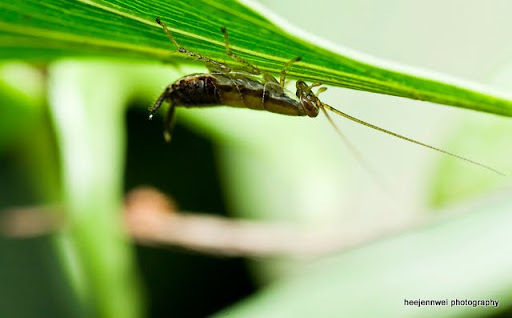 the best things of Macro photography is the similarity to another interest of mine, street photography, which both objects were captured in their natural behavior/ environment. only difference is, bug won't scold you or give you the Put-That-Thing-Away-From-My-Face look! 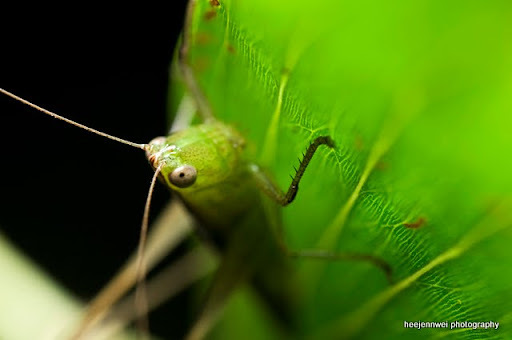 eye-contact with Praying mantis! see its' retina? awesome! 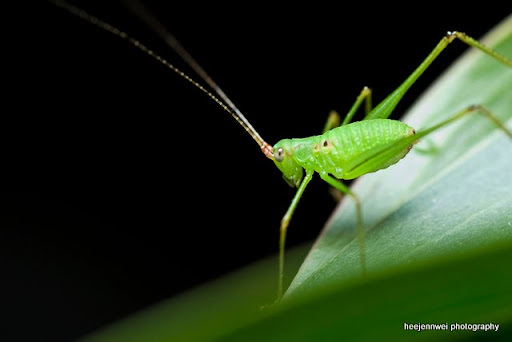 katydids (Tettigoniidae). distinguishs itself from Grasshopper with the longer length of filamentous antennae. 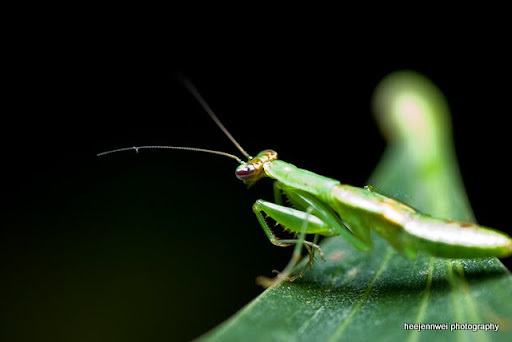 it feeds on leaves, flowers, barks, leaves although most species are exclusively predatory! spread across North America and Tropical region. my favorite of the day! 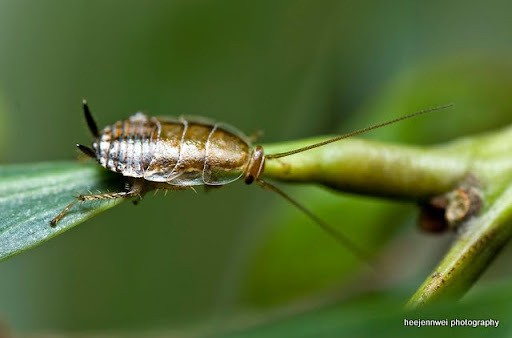 a planthopper. albino!!! 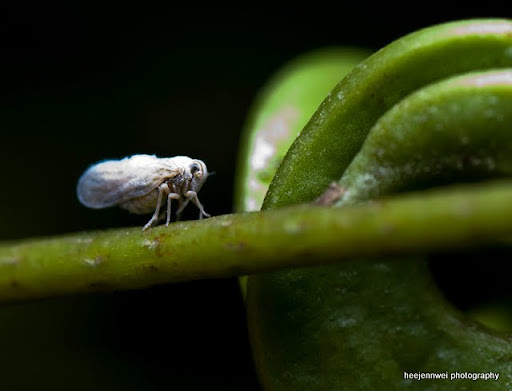 i mean white planthopper! and it has a little trunk, like a little elephant...lovely bug! and it's so tiny! Grasshopper. a common species in Tropical region...hope to get some colourful one soon...a yellow banded black grasshopper please...looks like somebody isn't it? YES! Kamen Rider (Masked Rider)! Candid of the day!!! hop hop away.